In these reflections on the Letter to the Ephesians, Fr. Cantalamessa, preacher to the papal household, asks a critical question: How can we read, And Christ loved the Church Eph. 5:25], without asking the question, And I? Do I love the Church? The twentieth century was a time of theological ferment focusing attention on the nature of the Church. But, the author wonders, Was there a proportionate growth in love for the Church? Do we love the Church? Do we understand its nature? Do we weep over its sins or merely criticize? Are we building up or tearing down? Fr. 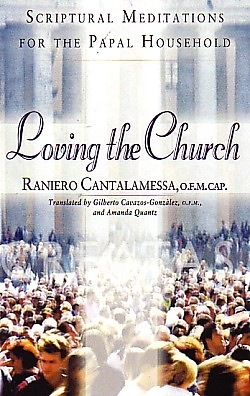 Cantalamessa explores the Church as building, body, bride and mother and also examines the family, the domestic church in this inspirational meditation on the meaning of Church for each of us.